Paintball centre in Wakefield wins centre of excellence award! 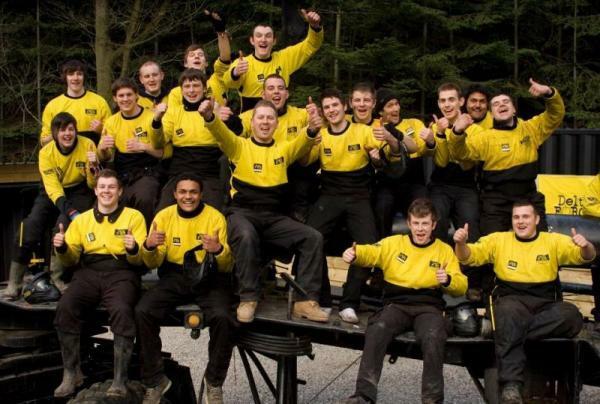 One of the longest running paintball centres in the Delta Force portfolio recently won the centre of excellence award. The Delta Force paintball centre in Wakefield, South Leeds, faced tough competition but managed to out shine the runners up – our Cardiff Paintball centre and Southampton Paintball centre in the summer quarterly award for centre of excellence. The Wakefield centre has benefited recently from an extensive refurbishment in 2011 where the base camp area was extended and new game zones added. The most popular is the new POW camp game zone, complete with fortified guard towers and thatched huts. The centre manager Mark said “it’s an honour to be recognised for this award, there were many other close contenders, but in the end it’s the dedicated staff who work hard as a team which has resulted in the Wakefield centre securing this award”. The Wakefield centre also received this prestigious award in the Spring of 2009. If you would like to experience the award winning facilities at our Wakefield centre, call out booking office now on 0844 477 5050 to plan your fun day out!